Haugen has asked the Marion County Circuit Court to issue a new death warrant, saying he doesn't accept the reprieve, making it "legally ineffective." The Oregonian’s continuing coverage of Gary Haugen, an Oregon death row prisoner, wants to initiate the execution process. Gov. John Kitzhaber blocked his execution and all others in Oregon. Marion County District Attorney Walt Beglau said Monday that the two-time killer has a viable argument. "That's the legal issue that needs to be explored in a court of law. That really is the central issue." Gov. Kitzhaber has invited Oregonians into thoughtful conversation. The hiatus in executions gives us time to talk and listen to each other. Disapproving reaction focuses on two concerns. One is gubernatorial powers in our democracy. The other is the death penalty. Support for the death penalty seems to be based primarily (and circularly) on the fact that Oregonians support it, and beliefs that it provides just deserts for the heinous crimes of remorseless killers, it keeps us safe , and it comforts victims' families. These positions reveal legitimate desires to prohibit murder, uphold democracy, foster public safety, and vindicate the suffering of survivors of those lost to violence. 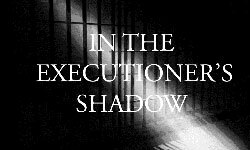 Sunday, Nov. 27 Oregon's governor, John Kitzhaber, stopped the impending execution of two-time convicted killer Gary Haugen, granting a "temporary reprieve ... for the duration of my term in office." Haugen's death sentence had been the subject of extensive review and the prisoner himself had argued that he should die. The governor should either have allowed execution to proceed or commuted the sentence. He did neither, treating the prisoner, the victims' families, and the dozens of court and prison officials in this case with cruel irresponsibility. This action, while courageous on the part of Governor Kitzhaber, also is in line with movement across this country for states to either repeal their death penalty, lessen the use of the death penalty and / or create opportunities to study the death penalty. Governor Kitzhaber has shown great leadership with this announcement.